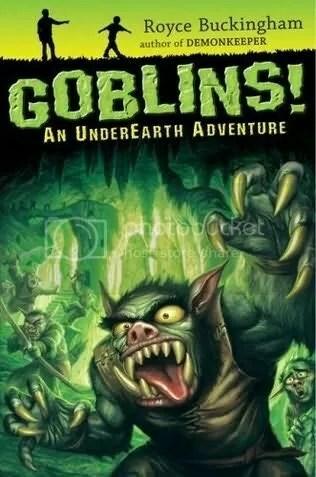 I’ve just started reading Goblins! An UnderEarth Adventure by Royce Buckingham, and it’s a lot of fun. It’s a fast and easy read, and I may get Mags to do a guest review on it, as well… seems like something she’d really enjoy. It reminds me a bit of The Spiderwick Chronicles, with goblins and kids battling goblins and goblin goo all over, but it’s its own book as well. Sneaking out into the woods near the Canadian border, Sam and PJ come across what looks like a mutant gorilla with a bad attitude. But it’s no ape— it’s a goblin, and thousands more of them live under the earth, kept in check only by a small corps of human Guardians. Sam finds a tunnel below the surface, and in no time he’s in the goblins’ clutches. With goblin leaders Eww-Yuk and Slurp at odds, it will take all of PJ’s strength and ingenuity to get Sam back—but then again, how hard could it be to outsmart a goblin? Featuring the high adventure and slapstick humor that made Demonkeeper a fantasy favorite, Goblins! is a subterranean romp that will keep readers laughing as they race through the pages to see what happens next. So, I want to share the Goblin! fun with you! I have a second, spanking-new copy to give away to a lucky winner. I think we’ll keep this one quick and easy. Leave a comment here to enter the contest. Blog this contest for an extra 3 entries, and make sure to leave a comment with the link. email 5 people or more about the contest, make sure to include me ( ibetnoonehasthisdamnid@yahoo.com ) in the CC, for another 3 entries. 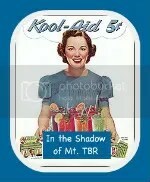 Post the contest and link (shortened URL: http://bit.ly/vX3Se ) on Twitter, make sure to include @thekoolaidmom in your tweet so I’ll catch it, for another 3 bonus entries. 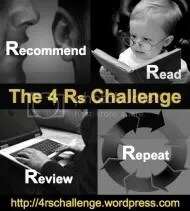 Leave a comment on the review of the book when I post it Saturday for another bonus entry. Contest is open until 11:59 pm, EDT, and I’ll post the winners names on Monday, June 1st 🙂 Good luck!